Karachi: People visit a stall during the International Defence Exhibition and Seminars (Ideas) in southern Pakistani port city of Karachi, Dec. 2, 2014. 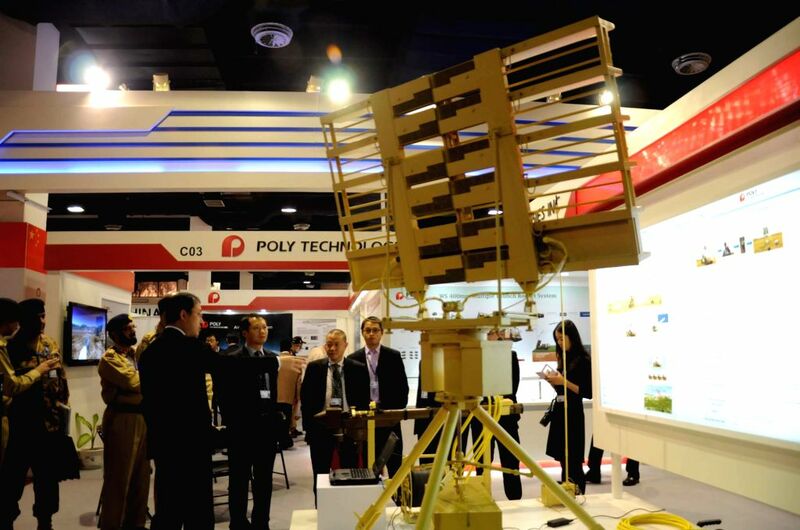 Over 300 exhibitors including 77 Pakistani firms present their products during the defence exhibition. 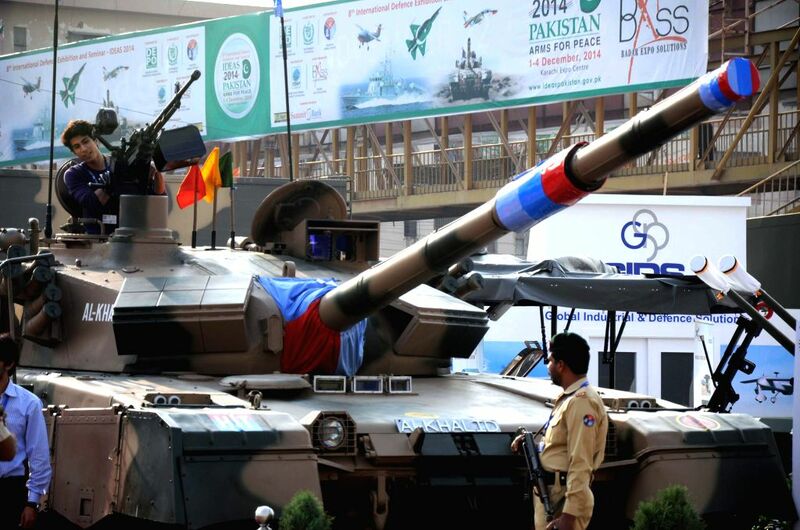 Visitors look at a tank during the International Defence Exhibition and Seminars (Ideas) in southern Pakistani port city of Karachi, Dec. 2, 2014.